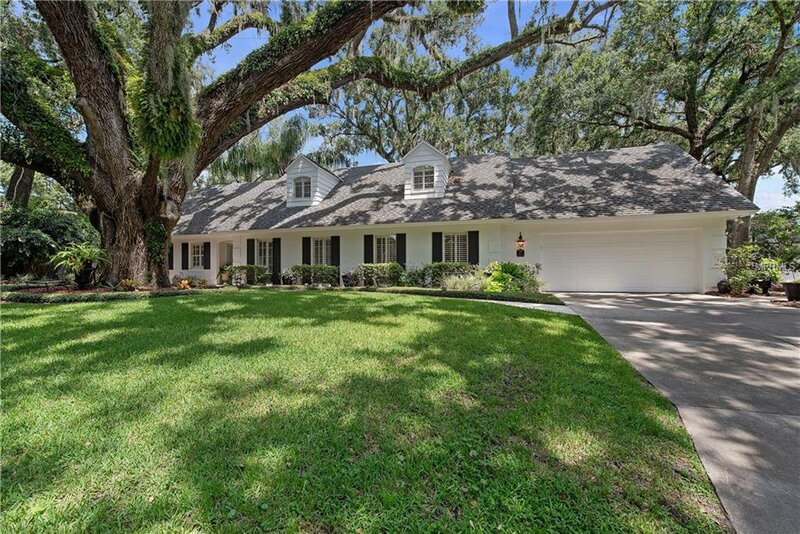 This beautiful five-bedroom traditional home on a quiet cul-de-sac is located in the heart of the Vias — one of the most sought-after neighborhoods in Winter Park. It has been extremely well maintained and enhanced over the years and set on an oversized lot with large private yard and gorgeous live oaks. Downstairs you will find generously sized living, dining and family rooms as well as an en-suite guest room, eat-in kitchen and laundry room. Upstairs houses three more bedroom suites and a spacious and private master retreat with sitting area and elegant master bath. Interior features include beautiful hardwood and tile floors, extensive molding and millwork throughout, wood-burning fireplace, plantation shutters, stainless steel appliances, granite countertops and much more. Out back is an expansive fenced in backyard, large covered porch for entertaining and a detached flex space for office, media, exercise or whatever your lifestyle dictates. Perfectly located just steps from the Winter Park Racquet Club and close to Park Avenue, YMCA and downtown Orlando and in the extremely desirable Winter Park school district.